Delia Owens has dedicated her life to exploring the natural world. After graduating with a Bachelor of Science in zoology (later, she would receive her Ph.D. from the University of California, Davis in Animal Behavior), she headed to the Central Kalahari of Botswana, where she and her husband set up a basic campsite in a remote area. For the next seven years, they radio-collared and studied six lion prides as well as the elusive brown hyenas that visited their camp every night. During those years, Owens developed a fascination with the female social groups that would become a running theme in both her research and her writing. From Botswana, the Owens ventured to Zambia to study the elephant population and to establish a program offering jobs, loans, and other assistance to local villagers to provide alternative means of survival to wildlife poaching. 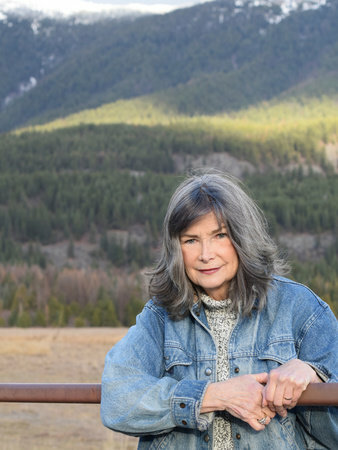 Owens spent 23 years conducting research on endangered species in Africa before moving to the Northern Rockies in Idaho to continue her writing career. 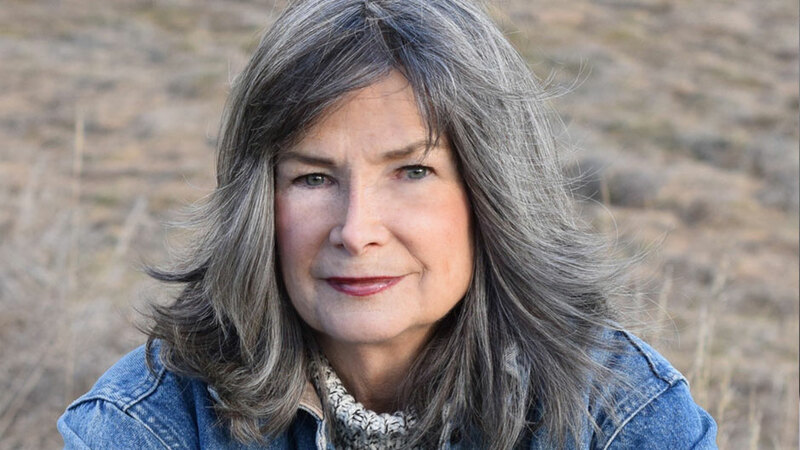 Owens’s research on female bonding in the animal kingdom and her personal experience with lifelong friendships inspired her to write Where the Crawdads Sing, a stunning debut novel about an unforgettable young woman determined to make her way in the wilds of North Carolina. Praised by everyone from Reese Witherspoon to The New York Times Book Review, Where the Crawdads Sing is at once an exquisite ode to the natural world, a heartbreaking coming-of-age story, and a surprising tale of possible murder. In her talks, Owens shares her writing process and the history, sciences, and memories that inform her work. 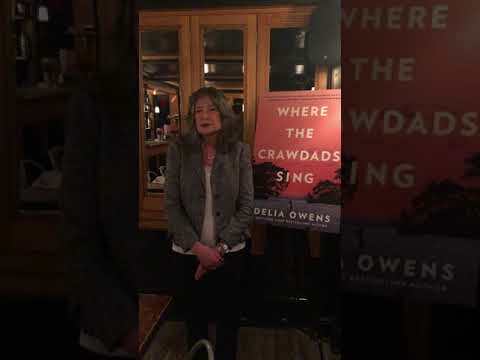 In addition to Where the Crawdads Sing, Owens is the co-author of three internationally bestselling nonfiction books about her life as a wildlife scientist in Africa, including Cry of the Kalahari. She has won the John Burroughs Award for Nature Writing and has been published in Nature, The African Journal of Ecology, and many others. She currently lives in Idaho, where she continues her support for the people and wildlife of Zambia. Carries the rhythm of an old time ballad. It is clear Owens knows this land intimately, from the black mud sucking at footsteps to the taste of saltwater and the cry of seagulls. A compelling mystery with prose so luminous it can cut through the murkiest of pluff mud. With prose luminous as a low-country moon, Owens weaves a compelling tale of a forgotten girl in the unforgiving coastal marshes of North Carolina. It is a murder mystery/love story/courtroom drama that readers will love, but the novel delves so much deeper into the bone and sinew of our very nature, asking often unanswerable questions, old and intractable as the marsh itself. A stunning debut! Lyrical…Its appeal ris[es] from Kya’s deep connection to the place where makes her home, and to all of its creatures. A nature-infused romance with a killer twist. Delia Owen’s gorgeous novel is both a coming-of-age tale and an engrossing whodunit. The New Southern novel…A lyrical debut. Heart-wrenching…A fresh exploration of isolation and nature from a female perspective along with a compelling love story. Steeped in the rhythms and shadows of the coastal marshes of North Carolina’s Outer Banks, this fierce and hauntingly beautiful novel centers on…Kya’s heartbreaking story of learning to trust human connections, intertwine[d] with a gripping murder mystery, revealing savage truths. An astonishing debut. Perfect for fans of Barbara Kingsolver. A painfully beautiful first novel that is at once a murder mystery, a coming-of-age narrative and a celebration of nature….Owens here surveys the desolate marshlands of the North Carolina coast through the eyes of an abandoned child. And in her isolation that child makes us open our own eyes to the secret wonders—and dangers—of her private world. Compelling, original…A mystery, a courtroom drama, a romance and a coming-of-age story, Where the Crawdads Sing is a moving, beautiful tale. Readers will remember Kya for a long, long time. Both a coming-of-age story and a mysterious account of a murder investigation told from the perspective of a young girl…Through Kya’s story, Owens explores how isolation affects human behavior, and the deep effect that rejection can have on our lives. Evocative…Kya makes for an unforgettable heroine. “A lush debut novel, Owens delivers her mystery wrapped in gorgeous, lyrical prose. It’s clear she’s from this place—the land of the southern coasts, but also the emotional terrain—you can feel it in the pages. A magnificent achievement, ambitious, credible and very timely. An exciting hybrid of a book, part adventure story, part wildlife tale...The work the Owenses do will take your breath away. This is a fascinating look at the interplay of social and wildlife upheavals in Africa in the early 1990s and a worthy follow-up to the authors' Cry of the Kalahari. A remarkable story beautifully told...Among such classics as Goodall's In the Shadows of Man and Fossey's Gorillas in the Mist.